Pale Waves impress again with their upbeat and incredibly catchy new single 'The Tide'. 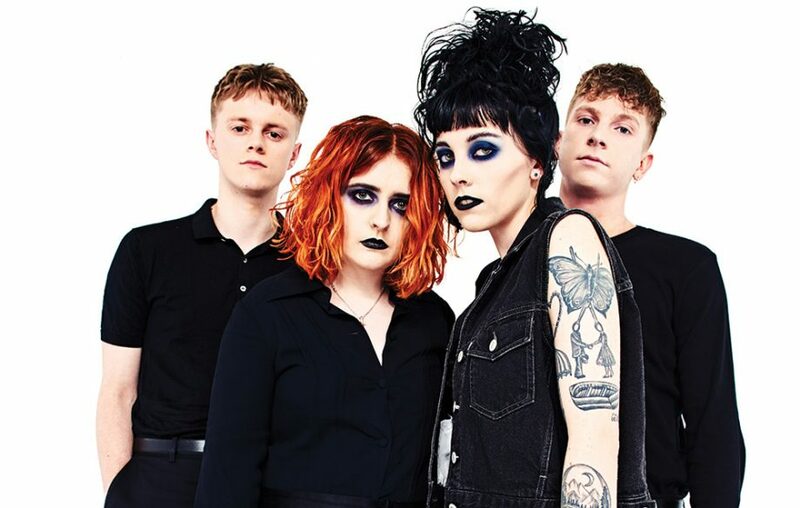 Pale Waves have released their new single ‘The Tide’, and after being rewarded a spot on The Edge’s List of 2018, the band is once again showing exactly why they are the most highly anticipated upcoming indie pop-rock outfit. The single was released as another teaser for their upcoming EP All These Things I’ve Never Said, which is due to be released March 16th, and is nothing if not tantalising. Despite only having five tracks to their name so far, Pale Waves have shown a maturity in finding a clear identity even in their adolescent career. Providing ‘80s inspired synths mixed with a dark, ethereal guitar-driven sound, the Manchester-based band’s close friendship with Matty Healy of The 1975 is easily discernible from the very offset of ‘The Tide’. Lead singer Heather Baron-Gracie evokes a gothic romanticism as she serenades us through the chorus “I’ll be the sea honey/ Always, always/ And you’ll be the tide”. Much like The 1975, the band already seem to have an eminent ability to perfectly pull in support from the edgy indie lot as well as having the mass appeal that will surely drive them into the mainstream charts, sooner rather than later. In a sense the timing of this song’s release worries me; a band much more widely acknowledged would have huge critical and commercial success with not only this song, but virtually every song they’ve produced to this date, and I can only hope that they haven’t peaked too soon. That being said, showing such promise so early on in their career only bodes well for the future, and if Pale Waves’ first album lives up to the hype, we will all be in for a Spring full to the brim of unapologetic emo-pop.